Since I was little, my mom shared her love of Seattle’s beauty with me, especially the Puget Sound. My mom planned a trip to Seal Rock when I was very young – a campsite on the Hood Canal – and I just went crazy. I ran down the sandy beaches to feel the salty ocean breeze against my face, and sometimes just stopped and stared at the calming waves. I would flip over every single rock looking for little critters of crabs and explore tide pools of tiny fish, sea stars, sea anemones, sea stars, tiny crabs, barnacles, and it was pure magic for me. My love for the ocean has only grown since then. As I grew up, I learned more about the environmental issues that plagued the Earth. I would talk for hours with my mom about them and express my frustration with the lack of attention and even belief on climate change. But, I felt that I didn’t take enough real, solid actions on helping the environment and I was hypocritical if I didn’t make real changes to my lifestyle. So, I drastically shortened my shower times, and conserved my usage of electricity because Puget Sound Energy powers my house and they use fossil fuels. I biked everywhere, and I even trained for half a year to complete the Seattle to Portland bike ride when I was 14. And again the next year. Even with all the changes to my lifestyle I still felt that I wasn’t doing enough to help the Earth and especially Puget Sound. 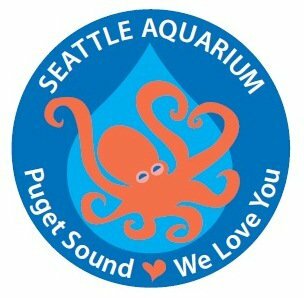 Motivated to do more, I went on the Seattle Aquarium’s website and found the Youth Ocean Advocates program. It was perfect for me. I could with other teens interested in marine biology and conservation of the environment. I could talk about wonderful sea creatures and spread the conservation message. My mom worked in Chinatown, and I could see evidence of cigarette butts everywhere. So I decided to walk around Chinatown for hours, picking up cigarette butts with my orange gloves and bags Do Something sent me. I would get approached by many strangers asking “Why are you doing this? Is it for school?” and I suspect that many thought that I was forced into community service because of something criminal. But contrary to popular belief, I was just a teen who was really passionate about the taking care of our oceans and lands. One day, I was cleaning up a popular smoking area in Chinatown and a few elderly men were sitting there, smoking, as I cleaned it up. They asked me some questions about why I was doing it, in Chinese, and I was able to communicate back, in Chinese, the facts on the harms of cigarette butts and why I cared so much. Then, the men started to help me clean up the area! I was so unbelievably happy and motivated that I actually inspired strangers to help the environment through my actions. I was so inspired by those strangers that in 2016 I applied and won a $500 grant from the Seattle Aquarium to do a poster campaign in Chinatown with multiple Asian languages to inspire more people to throw away their cigarette butts and buy less cigs to help the ocean. Unfortunately, I’ve realized I was ambitious with my plan to finish it in summer 2016 alone. So, to this day, I am still working on perfecting my design and planning to work with a friend talented at graphic design, planning on visiting many Chinatown businesses for permission to tape my poster to their windows, and hopefully, officially finishing the whole project in summer 2017. My journey of advocating for our environment was always forged through intense self reflection – usually many sleepless nights – to question what I was doing with my life and how I could do more. But I believe anyone can make a difference in conservation, and they don’t have to do it the hard way (like I did!). Focus on yourself and your local environment, don’t focus on trying to fix the entire world and I promise that you will find incredible joy and fulfillment in helping the Earth.